Although there have been plenty of memorable alien-invasion films, it's interesting that there aren't a huge amount of classics, particularly in recent years. Your agreement with this point depends on how wide you extend the genre. For example, I don't consider The Abyss and Superman II as part of this category. They feature aliens, but it isn't enough to place them in this genre. I know that it's completely subjective, but any list requires some parameters. Narrowing this down to five (actually seven) choices was no easy task. I know there are big choices that didn't make the cut, including strong picks that I watched during the Here Come the Aliens! marathon. I'd love to hear your favorites in the comments section below this Top 5 list. It's time for the picks! Roland Emmerich’s 1996 epic Independence Day is likely at the top of some lists, but I can’t get past the awful dialogue and silly resolution. It’s impossible to deny the scale of the production, with massive ships decimating famous landmarks like The White House. The first hour builds the suspense well, and the payoff is well-done. It’s the final hour where the story really gets into problems, including a lot of hokey speeches. 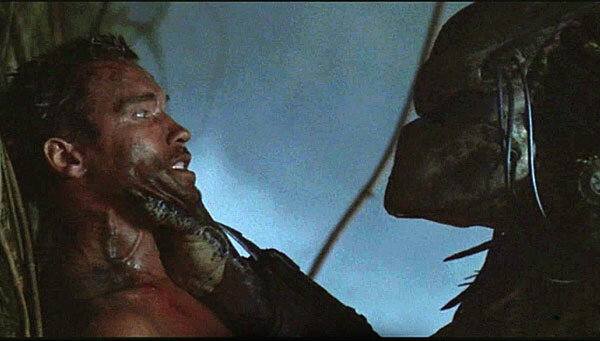 On a different end of the scale is Predator, which brings a small group of mercenaries into contact with a badass alien hunter. The future appearances of this beast never match the first one, and Arnold Schwarzenegger’s cat-and-mouse battle with the creature is something to see. This John McTiernan film stretches the boundaries of this category, but it works for me because the enemy is so unknown to guys who aren’t fazed by anything human. This 1951 Robert Wise parable about the dangers of war is one of the great classic sci-fi films. 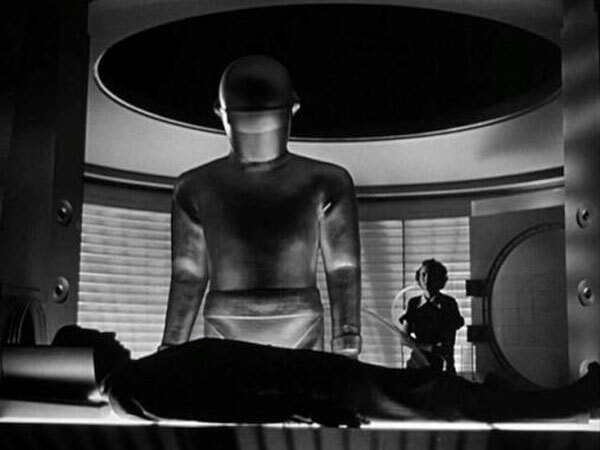 It includes plenty of iconic elements, including the robot Gort, the famous phrase “Klaatu barada nikto”, and seeing the Earth when it goes quiet. It doesn’t include much action but remains thrilling because of the sci-fi mystery and clever style. It also doesn’t overstay its welcome and barely crosses 90 minutes, which is wise for the small-scale production. I haven’t seen the 2008 remake with Keanu Reeves, but I’m guessing it creates a much larger spectacle. I doubt it can compare to the excellent original, which remains highly engaging more than 60 years after its original release. 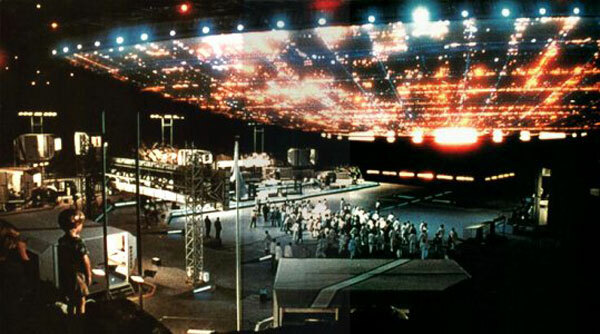 The sci-fi genre really hit its stride in the late ‘70s and early ‘80s, and one of the best examples is Steven Spielberg’s Close Encounters of the Third Kind. Released in 1977, it remains well-known for the finale, where Roy Neary (Richard Dreyfuss) arrives at Devils Tower in Wyoming and discovers the alien spacecraft. 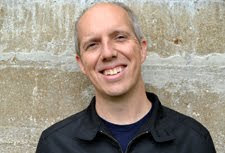 His obsessive quest to find it has caused major problems at home, and this provides a personal side. Catching up with it a few years ago on DVD, I was surprised by how much time we spend with Neary’s family before he joins similar people with the same focus. The finale remains stunning today, but it’s the human part of the story that makes it so memorable. For pure fun, John Carpenter’s silly look at a world taken over by unseen aliens should be in the top slot. 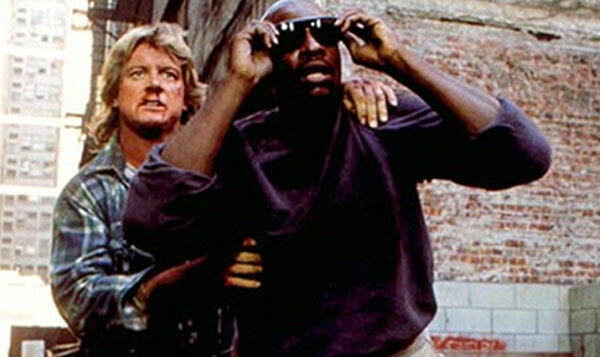 Any story where the hero finds a box of sunglasses that reveal an invasion has to be awesome. When you add the Carpenter factor, a surprisingly effective lead performance by Roddy Piper, and a ridiculous wrestling brawl, it's perfect. Although the aliens are hokey, the idea that we’re being subconsciously manipulated to become passive consumers is intriguing. Carpenter was fed up with the excesses of the ‘80s and found a way to place his ideas within a fun B movie. It’s worth checking out for the fight between Piper and Keith David, which lasts more than five minutes and feels even longer. Logic goes out the window, but you won’t care because it’s too damn entertaining. 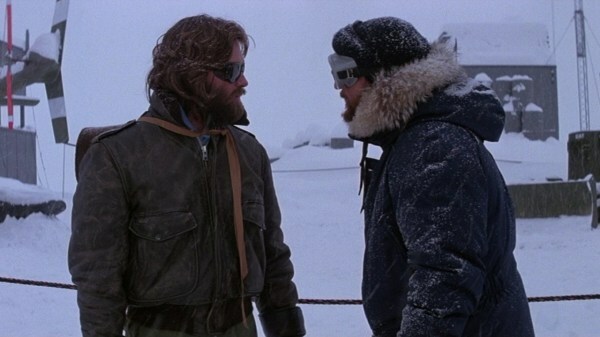 We continue the Carpenter love with his stunning 1982 remake of The Thing. The creature effects are brutal and remain frightening 30 years later. I haven’t seen the 2011 prequel, but I’ve heard the CGI doesn’t work so well. That fact reminds us of the great success of Carpenter’s chilling look at scientists facing down a shape-shifting alien in Antarctica. Kurt Russell is believable in the lead role, and it’s the humans that make this such a memorable classic. In a movie with such a nasty alien, it’s the showdown between the guys that ranks as the best sequence. That’s a testament to both Carpenter and the character actors involved, including Wilford Brimley and Keith David. If the performances don’t sell this material, it turns into an average film with cool effects. The actors sell the paranoia, which helps to explain why viewers are still discovering this movie today. 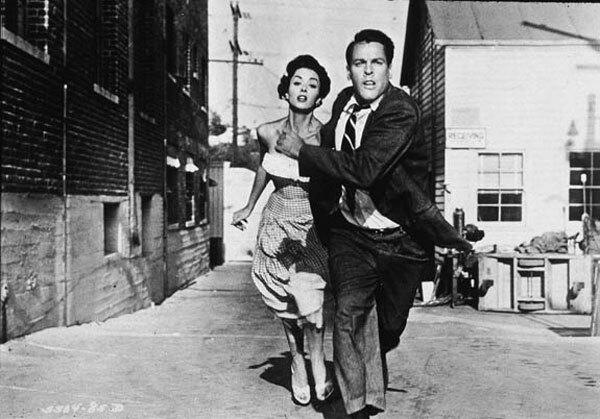 Few movies capture the paranoid atmosphere of the 1950s better than Don Siegel’s Invasion of the Body Snatchers. Although its point about the evils of mindless conformity is clear, the interesting part is that you can draw much different conclusions depending on your perspective. The pod people can relate to the scare tactics against Communism or even as depictions of the “red menace” instead. Apart from the thematic elements, this is also a fun sci-fi classic. It remains creepy with a limited budget and creates suspense without cheap scares. Clocking in a mere 80 minutes, the story doesn’t waste time. The final shots (if you ignore the silly epilogue) of Kevin McCarthy running through the highway screaming “You’re Next!” are chilling and end the film on just the right note. Now that I read the title of the post a little closer, I guess Brother isn't necessarily an "Invasion" film. Aaron, I'm a big fan of The Brother From Another Planet. I think it's tricky because I guess you could technically call his arrival an "invasion", but you're right that it doesn't really fit with this category. Either way, it's a great choice. So glad to see They Live on here. i just rewatched it a few months back and it's still awesome. Dave, it nearly made #1. I had to think about that pick for a while. I caught up with it a few years ago, and I totally agree that it holds up really well. You teased me with the ID4 picture and then didn't include it. I wouldn't include The Thing and have only seen the 70s version of Invasion (though it would definitely make the list) but generally good selections. Do you have thoughts on Mars Attacks and its parody take on the genre? I put in ID4 as an Honorable Mention, but I see your point. I couldn't resist putting a big shot of one of the ships as the main picture. I just caught the '70s remake of Invasion in this marathon, and it was great. I thought about putting both versions in here but ended up deciding to just leave the remake off the list. I saw Mars Attacks in the theaters, but I actually haven't watched it since. I remember enjoying it, but it didn't stand out enough in my mind to include it. I think it's one of those movies that I'd probably react to differently now than I did when I was 20. As you mentioned, the definition of alien invasion had to be expanded some. Really, only Independence Day, They Live and Invasion of the Body Snatchers are true invasion movies. The others have individual aliens coming to Earth for various reasons. 1. Don't bother with the Day the Earth Stood Still remake. It threw away everything that made the original good and replaced it with special effects. Chip, I haven't heard great things about the remake of the Day the Earth Stood Still. I was interested to see what they did but never got around to it. I can't imagine it would improve on the original. I have seen The Arrival, though it was a few years after it came out in the theaters. I remember enjoying it, though I remember being let down a bit by the way it ended. I never caught the sequel, and it sounds like that was a wise. I've only seen Independence Day and Predator from your list, but I'm curious about The Day the Earth Stood Still now, the original, not the remake. I do like Keanu so I might still check out the remake as well at some point. Ruth, I'd highly recommend all of these, though a few are more on the B-movie side. For a starting point, The Day the Earth Stood Still is a great way to go, and I'd definitely suggest Close Encounters too. Holy cow! The aliens in Close Encounters are invading!?!? I thought they came in peace. That film is going to be whole lot scarier for me next time I watch it! In that case E.T should be on this list too. He's also an invading little bugger! I don't suppose District 9 counts but I hope that if they ever make a sequel, that will! Pete, you have no idea. Those aliens meant so much business! Seriously, that may be a slight flaw in this list. But I'm sticking by it! I thought about District 9, but I don't think it counts since the aliens are already here. Also, I was disappointed by the last act of that movie. Also great to see The Day the Earth Stood Still mentioned, as that one still holds up very well today. Eric, I'm amazed at how many people are big fans of They Live. It's one of those movies that a lot of film buffs have discovered over the years. Carpenter's movies hold up really well today. Big Trouble in Little China, Assault on Precinct 13, The Thing, and others don't feel dated and are great fun. No Dreamcatcher? Just kidding... maybe. Seriously though, I love Siegel’s Body Snatchers. That remake with Sutherland really didn't do it for me, but oh well. Another great list, Dan! I've heard that Dreamcatcher is just ridiculous; I haven't seen it, but I can see it making a list of outlandish alien movies from what I've read. The remake of Body Snatchers was entertaining, and I think it has a lot of good points. I do agree that the original is slightly better, though. Thanks Alex! I wouldn't call Dreamcatcher ridiculous. I mean, for people who've always wanted to see Donny Walhberg play a severely mentally handicapped man, it's pure gold. Alex, I know there a lot of people with that thought about Donny Wahlberg. Ever since his days in New Kids on the Block, it's been right there for me. Dreamcatcher deserves a closer look! 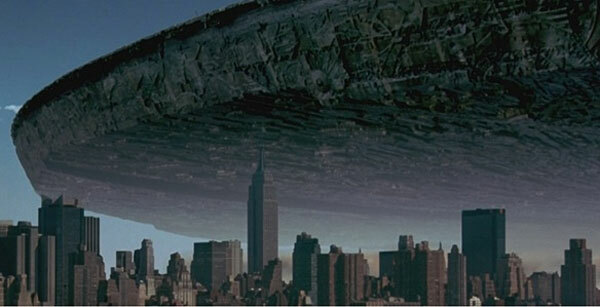 I love Close Encounters but with any alien invasion I think the best have to have a sense of menace about them. The Close Encounters aliens are far too nice. The Thing tops my list I think. Dan, you make a good point about the intentions of the aliens. Pete also brought this up earlier about Close Encounters. While putting together this list, I was thinking of iconic moments from the genre that have stuck with me, and Close Encounters has several. Still, I can't argue with your point. Thanks!